Enheduanna Society patron, Dr Irving Finkel of the British Museum, shows Matt and Tom how to write cuneiform on a clay tablet (video published 22/07/17, 23 minutes). Learn about cuneiform. The Omniglot website has lots of information and examples of both Sumerian cuneiform and Akkadian cuneiform. Video on the Gilgamesh epic This link will take you to the Annenberg Media website which provides multimedia resources for teachers and students in American schools. After following the link, click on the VoD button for The Epic of Gilgamesh video. Hear Sumerian and Akkadian poetry recited. 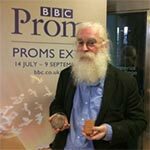 First broadcast on BBC Radio 3 on 7th August 2017, Proms Extra featured a talk by Enheduanna Society patron Dr Irving Finkel from the British Museum. He talked about cuneiform; what it tells us about life in the cities of Ur, Nineveh and Babylon, and how some of the most memorable stories ever told travelled from culture to culture. He also explained why the Ark might have been round and how painful life could be for Sumerian school-children. There's also a four-thousand-year-old joke. 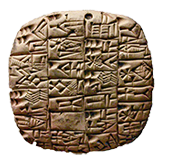 First broadcast on the BBC World Service on 29th April 2017, 50 Things That Made the Modern Economy featured cuneiform, the earliest known script. Tim Harford explains that cuneiform wasn’t being used for poetry or to send messages to far-off lands; it was used to create the world’s first accounts and written contracts. 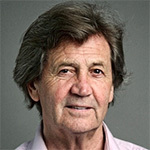 On 3rd November 2016, the BBC Radio 4 programme In Our Time presented by Melvyn Bragg featured 'The Epic of Gilgamesh'. 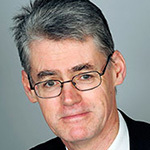 The guest speakers were Enheduanna Society patrons Professor Andrew George, Dr Frances Reynolds and Dr Martin Worthington. You can listen to the programme, or download a podcast version, from here. The Last Jews of Iraq. Alan Yentob investigated a 2600-year-old community, now almost disappeared. Once they thrived as a third of Baghdad’s population; now only seven Jewish people remain. 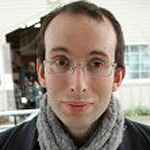 Programme broadcast on BBC Radio 4 on 4th December 2011. The Enheduanna Society’s activities were featured in a BBC World Service TV news report by Kifah Arif in July 2010. View the video below (3 minutes). • The Standard of Ur is object number 12. The programme includes contributions from Enheduanna Society patron Dr Lamia al-Gailani. • A 5000-year-old Mesopotamian clay tablet with cuneiform writing is object number 15. The BBC web page includes a commentary by Enheduanna Society patron Dr Irving Finkel. • The Flood Tablet is object number 16. This clay tablet from the library of King Ashurbanipal pre-dates the Bible by at least 400 years and tells a flood story similar to the one of Noah’s ark. • The Lachish Relief is object number 21. This stone panel from the palace of King Sennacherib depicts the Assyrian army laying siege in 701 BC to the town of Lachish, about 40 kilometres from Jerusalem. • The Library at Nineveh This programme, first broadcast in May 2008, is about King Ashurbanipal’s library. Learn all about those amazing clay tablets from Enheduanna Society patrons Professor Andrew George, Dr Karen Radner and Dr Eleanor Robson. • The links between Archaeology and Imperialism are discussed with reference to Mesopotamia and Egypt. The program was first broadcast in April 2005 and the guests include Enheduanna Society patron Dr Eleanor Robson. • Babylon This programme, first broadcast in June 2004, seeks to uncover the truth about Babylon. The guests are Enheduanna Society patrons Dr Irving Finkel, Professor Andrew George and Dr Eleanor Robson. Ancient Mesopotamian myths were discussed on the BBC Radio 4 Today programme in December 2004. Guests included Enheduanna Society chairperson Fran Hazelton, and patrons Dr Stephanie Dalley and Dr Irving Finkel.